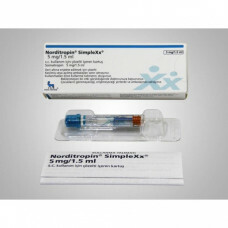 What is Norditropin (5mg) 15IU Novonordisk? 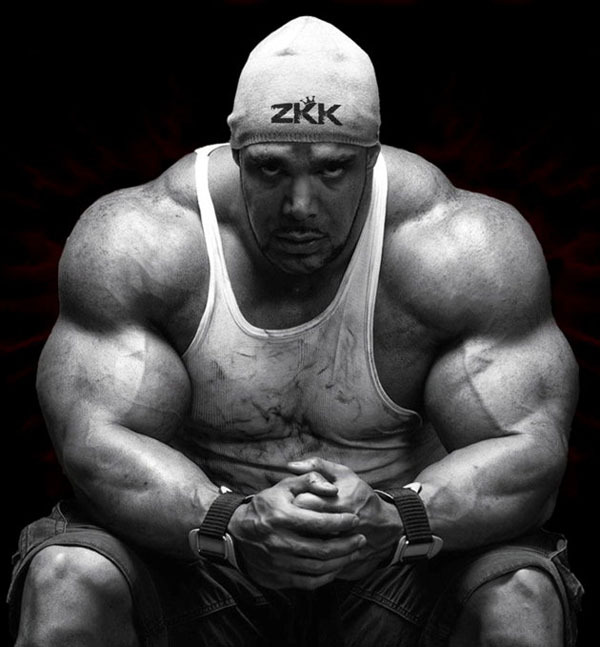 HGH Somatropin is a peptide which means Human Growth Hormone and thanks to its high similarity to human hormones, it is used in many treatments. Since this medicine is very similar to the human hormones, it lowers the blood pressure, and it provides muscle mass and lowers the fat mass, and it balances the cholesterol level in the body. In addition to these benefits of the medicine, it also provides more energy and strong bones and it is also useful in re-growing of hair and providing younger skin to its users. 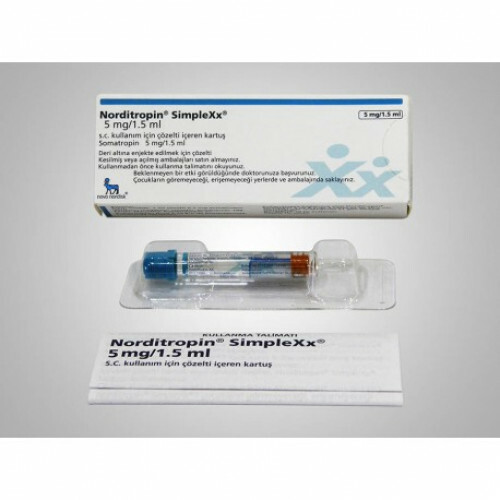 HGH Somatropin is also used in the treatment of more serious problems such as genetic disorder like height problems among children, chronic kidney failures and HIV-related severe weight loss. This medicine is used effectively in the cure of all these diseases and disorders. Since this medicine is very effective, it can cause many side effects when it is over used or the dosage of it is exceeded. The possible side effects of this medicine are, joint and muscle pains, vision problems, vomiting and nausea, severe stomach pains, often need of urination, tiredness, sore throat, dryness in mouth, and dry skin can be seen among the users. Moreover, it can give more serious damages to the users such as organ failures that result from the problems with the body's does not metabolize this drug and this can cause liver or kidney problems. For this reason, HGH Somatropin should be taken carefully with the recommended dosage and if any of these side effects are seen, the patients should consult their doctors.